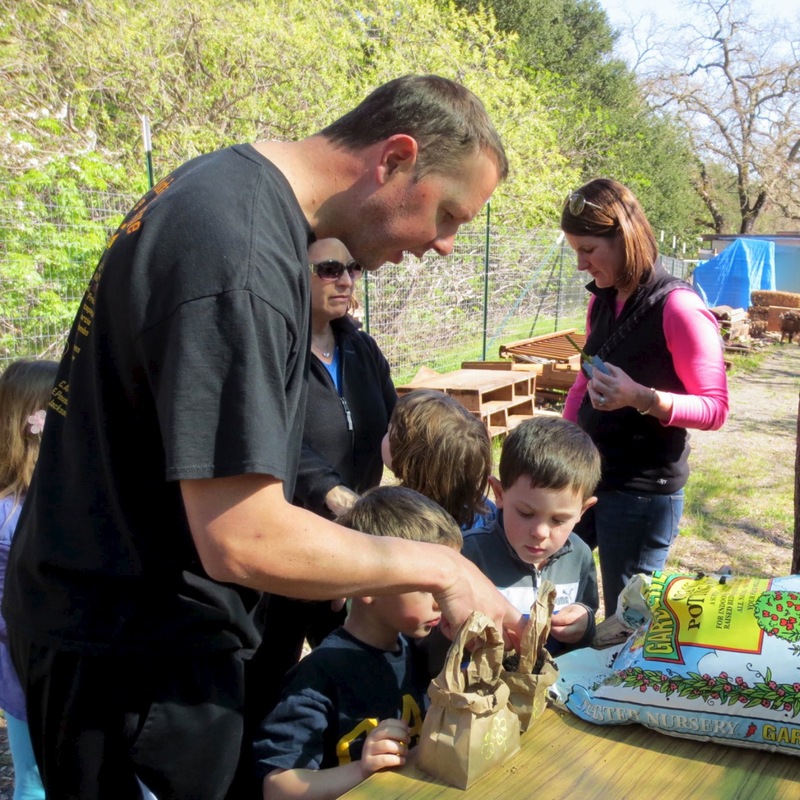 In honor of “Plant a Flower Day” the Lafayette Library and Learning Center came to the Lafayette Community Garden last Saturday for a joyous event of stories, crafts, and planting. 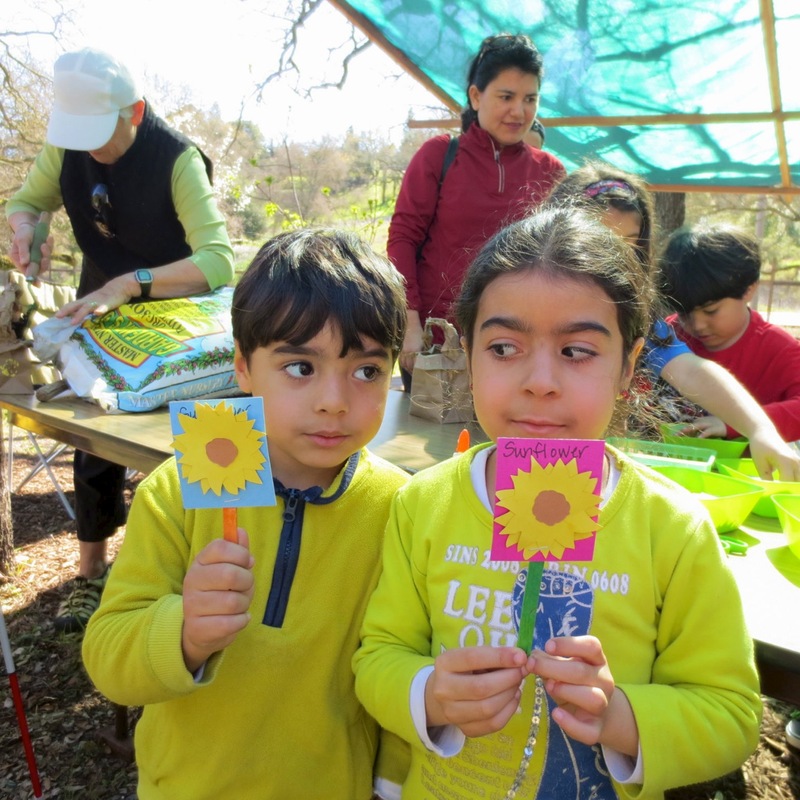 Fifteen children and ten adults came to hear children’s librarian, Ginny Golden, read three books about sunflowers and their life cycles. 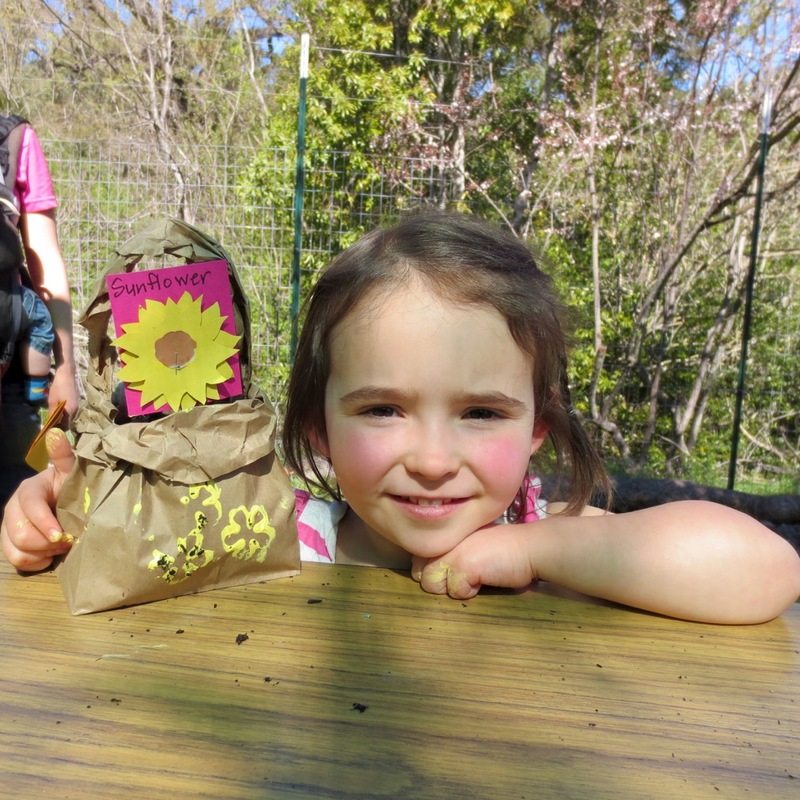 After the stories Ginny showed children how to make brown paper planting baskets complete with sunflower planting markers. 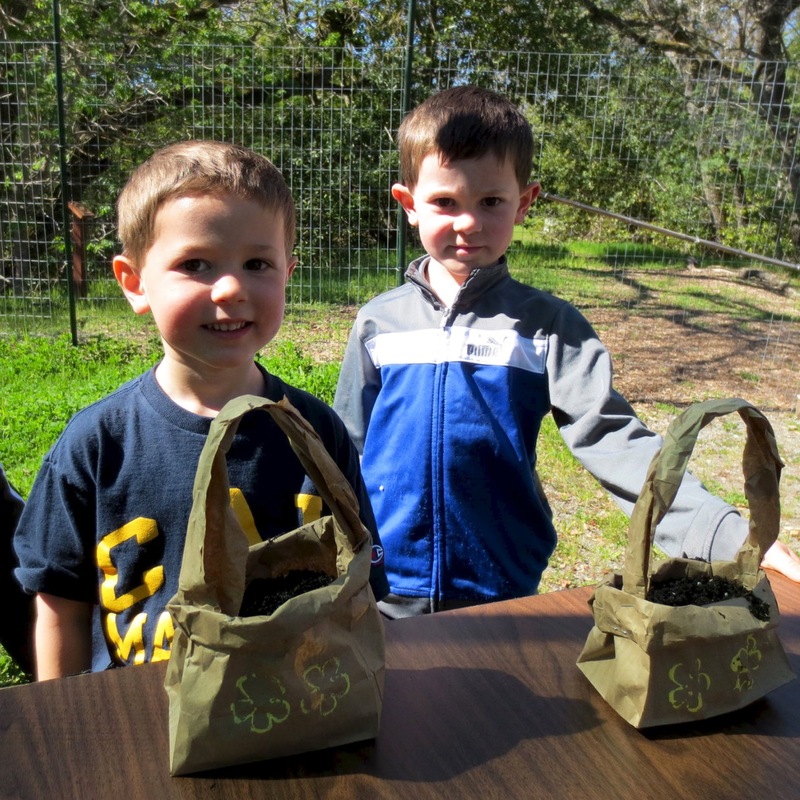 After filling their baskets with garden soil, the children planted sunflower seeds to take home. 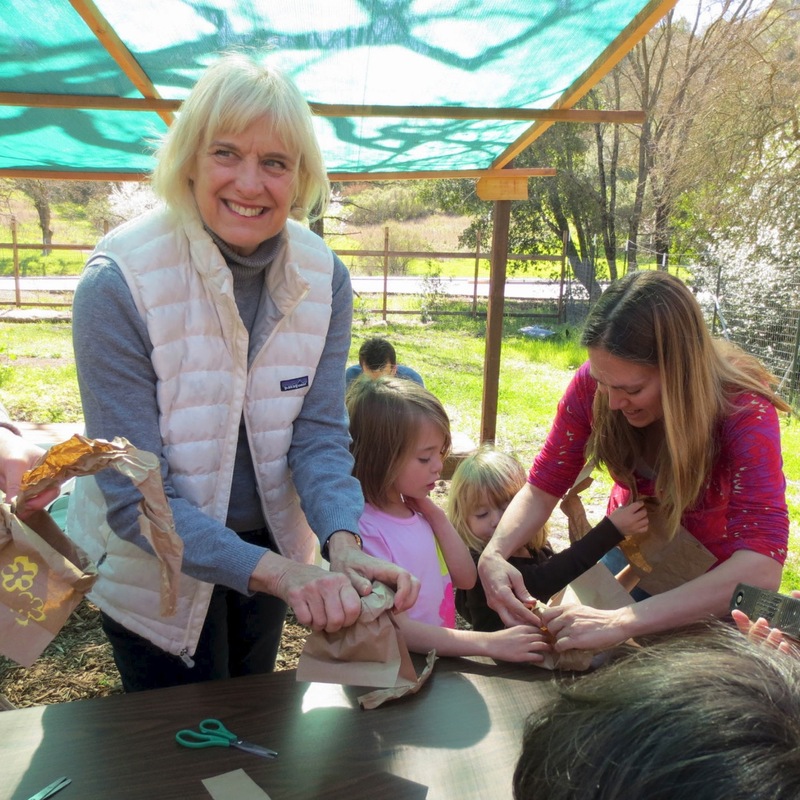 Gardeners Martha Harris, Janet Thomas and Lynn De Jonghe felt privileged to assist with the project, and the entire garden community helped to ready the education site. A delightful time was had by all. Many thanks to all who contributed to the success of the event. 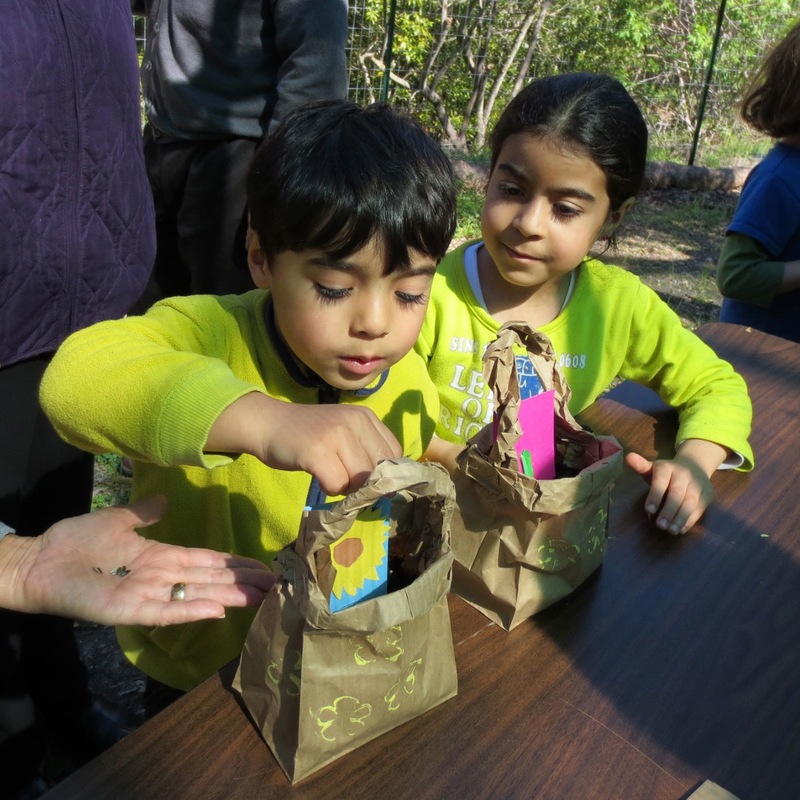 This entry was posted in Community Events, Kids, Outdoor Learning Center and tagged Kids.